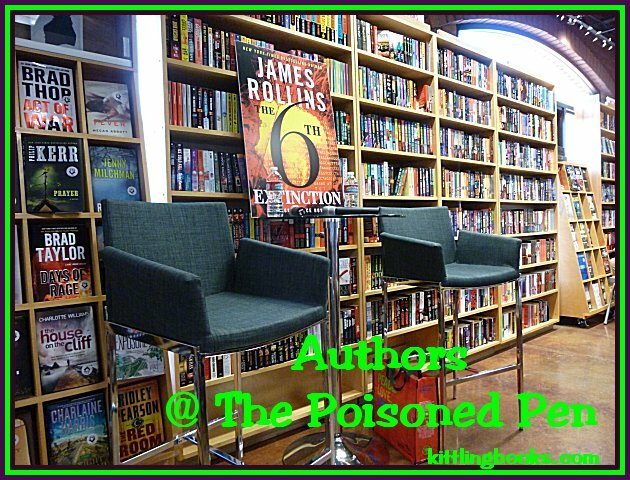 Reed Farrel Coleman and Hester Young at The Poisoned Pen! Thursday was a day of appointments, ending with an author event at The Poisoned Pen. It's the perfect way to end a busy day-- at least for this book lover! After being greeted warmly by the staff, I got down to the business of book buying, and while paying for my stack, I chatted with Ariel and Jeff about the volunteer work I will be doing for the bookstore. (More on that when I've actually had time to do something!) After that, it was a matter of sitting, reading, and chatting until the start time for the event. 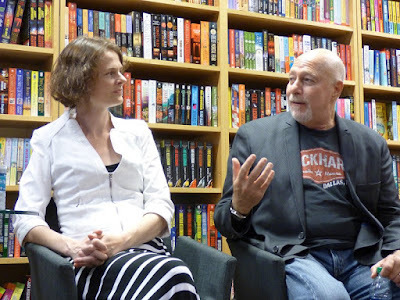 I was stunned by the small number of people who showed up to see Hester Young and Reed Farrel Coleman, and bookstore owner Barbara Peters told me that low turnouts had been happening all week. An author who normally has at least 80 of us crowding into the small building had hardly a soul turn up. Then it dawned on me: if you've been paying attention to the news, Phoenix has been plagued by a person (or persons) dubbed the "I-10 Sniper." I looked at Barbara and said, "I wonder if it has anything to do with the I-10 sniper?" It didn't occur to Denis and me because we don't travel any of the freeways to get to the bookstore, but I know many other patrons who do. Who's going to run the gauntlet unless they absolutely have to? Since both authors' books involve children in danger, Barbara's first question was, "How hard is it to write about crimes against children?" Coleman replied, "With teenagers, your mind always tells you that there's a chance that they just ran away. It's much harder for me to write about harm to very small children." Young, whose book The Gates of Evangeline is her debut novel, said, "I was pregnant with my second child, and my due date was my deadline. It was a dark place to go to. I found it harder to write about a child who's been missing for a long time... all that wondering and worrying forever." Coleman nodded in agreement. "My family's motto is 'Bad news is better than no news at all.' Having no news at all about a missing child takes a great emotional toll." "The premonitory dreams that feature in my book are based on a recurring nightmare my grandmother had in 1956 about her four-year-old son Bobby," Young said. "My grandmother would dream that she was standing in the kitchen and when she looked out the window, she would see something falling. She would shout, 'Bobby!' and run outside, but she would only find a smashed melon on the ground. Several weeks passed. One night she left Bobby in the care of her parents. Somehow a window was left open, and Bobby fell. At the hospital the doctor described Bobby's head injuries as looking like a crushed melon." Young's main character is a journalist whose recurring dreams lead her to writing a true crime story about a 30-year-old cold case involving an eccentric, moneyed family in Louisiana. When Barbara mentioned that Louisiana was a different world, Coleman said, "Louisiana follows the Napoleonic Code. It has a whole different culture and a whole different feeling." "Are we going to see this character again?" Peters asked. "This was sold as a trilogy," Young replied. 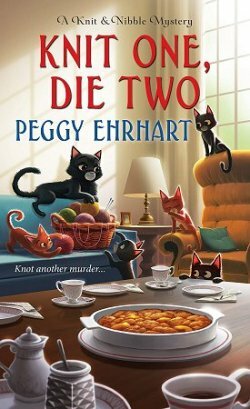 "Book number two is set in Tucson, Arizona, in August. Charlie Cates has a family situation that brings her to here." "From Southern Gothic to Desert Gothic!" Peters exclaimed. "It's unusual to sell a story from a new writer as a trilogy. Is there any chance we could see more than three books about Charlie?" Hester smiled and shook her head doubtfully. "I don't know... three books is a really long time to spend with someone!" "Oh yeah?" Coleman teased, which made us all laugh. 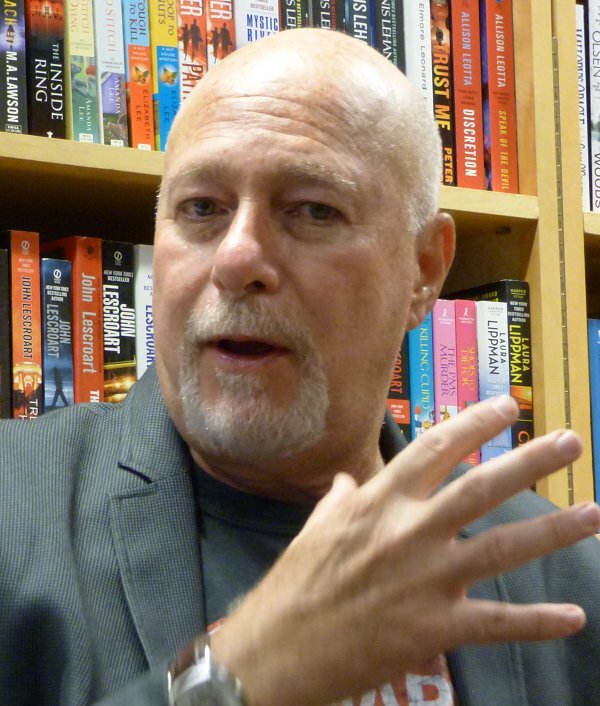 Among his many books, he has a nine-book series about Moe Prager, and he's also continuing Robert B. Parker's Jesse Stone series. When Barbara asked him about writing a long-running series, Reed replied, "It's good to write a series with a built-in poison pill. It has a known end. Moe is a 65-year-old cancer survivor who ages. I've spent a lot of time with a lot of characters." "Do you ever get tired of them?" Young asked. "If that happens, it's time to ring the bell and end the series," Reed said. Peters then asked Coleman about the first book in a new series. "Yes, Where It Hurts is coming out next year. The main character is Gus Murphy, a retired cop driving a courtesy van for a hotel. He's a good guy. He's the kind of guy we'd all like to have as a neighbor. He has a great wife, two almost-grown children, but when his son dies while playing basketball, Gus's life blows up." "How has it been for you to inhabit a character someone else created?" Barbara asked Reed. "I'm now friendly with Robert Parker's best friend. They started out as business partners. These two had dinner together once a week for fifty years. Mel told me that when Parker first saw Tom Selleck, he almost wept because that's how he'd envisioned Jesse Stone." Since taking over Parker's Jesse Stone series, Coleman's most often asked question has been, "Can you please kill Jenn?" 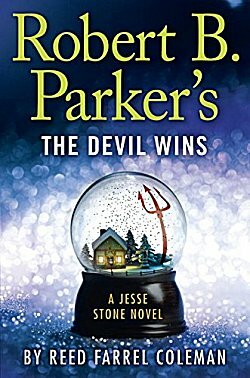 However, in the next book Robert B. Parker's Debt to Pay, Stone is invited to Jenn's wedding. She's getting remarried. Someone wants to kill her-- "and it's not Jesse! I don't think most fans appreciate this dynamic with Jenn, so I've minimized it in my books. I do think you will see Jenn differently in this next book though." A fan asked if Parker had left any notes that Coleman could follow. "Parker left no notes," Reed replied, "but I do have his editor, so I can talk with her about things." Coleman also admitted that he and Ace Atkins (who now writes Parker's Spenser series) have talked about doing a book together that features Spenser and Stone. "Ace has a much tougher time than I do. Parker wrote forty Spenser books before he died. Forty! He only wrote ten Jesse Stone books. Parker left me room." "I don't want to hear about it!" The talk moved on to random topics and questions. Young was still smiling over the blurb that Coleman wrote for The Gates of Evangeline. Coleman (who was the person who brought it up) acknowledged how good the book is, smiled, and said, "I give good blurb!" Barbara wanted to know how it felt for Young to be published. "It was surreal. I first saw it in the Atlanta airport, and people keep texting me pictures of my books. I guess I have a pessimistic attitude because I never thought my book would sell." Young also gets asked a lot about the backstory of her book. "This book is about dreams. I told you my grandmother was an inspiration-- and I had a dream about this book. I had a dream one night that I was sitting in a rowboat in a Louisiana swamp and there was this little boy sitting across from me. He told me his name, and he told me his age, and then he said, 'Let me tell you how I died.' That whole story that he told me just stayed with me, and it's why this book is set in Louisiana." "If you ever have a dream with me in it, I don't ever want to hear about it!" Coleman said. 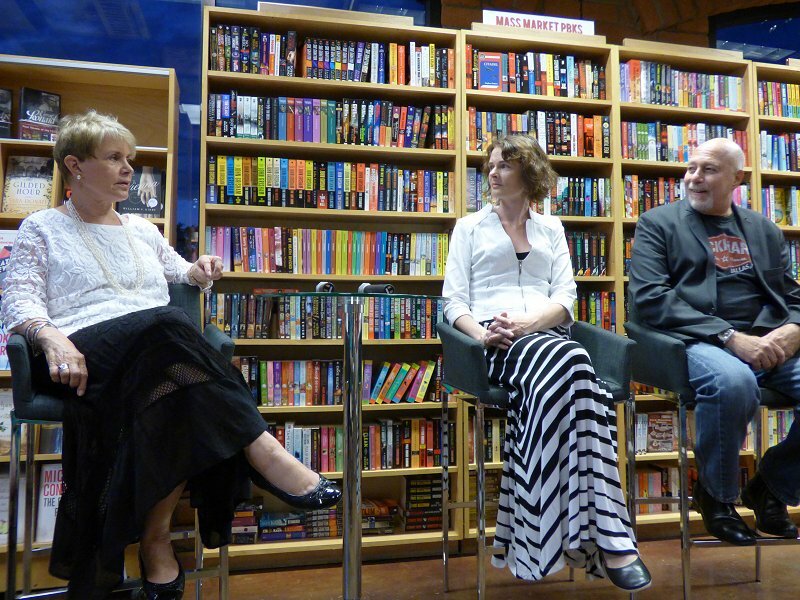 "People like to read crime fiction because they get answers, and balance is restored," Coleman said. "One of Bob Parker's biggest themes in all his books is bullying. Bob Parker hated bullies." "Bob Parker was a big man like my father," Barbara Peters said. "My father was always very careful not to use his size to his advantage, and Bob did the same thing. Bob was also very protective of his sons. "Bob appeared at The Poisoned Pen just when he was named the MWA's Grandmaster," Peters recalled. "That evening he told everyone, 'You can call me Grandmaster Bob!' For the entire event, he waxed poetic when normally he was very taciturn." A fan asked Coleman how it was different writing the Jesse Stone books. "I write the book, then I show it to the family. Once the family approves it, the book then goes to the publisher. Since my editor for those books was Parker's editor, I can get lots of feedback from her on mine. It's phenomenal. Bob Parker created three sets of characters that have lived on past him." "I used to get the most wonderful late night emails from Bob Parker and Ed McBain," Barbara Peters told us. "When I got up one morning, I looked at my husband and said, 'Evan is dead.' 'How do you know that?' her husband asked. I told him, 'I didn't get an email from him last night.'" Coleman told us about talking with Lawrence Block one evening. Block asked him what it was like to write the Jesse Stone books. 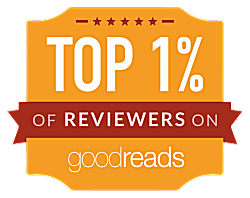 "It's good," Coleman said, "but I have to admit that I'd feel much more comfortable if I was writing about Scudder! [Block's iconic character] Larry took his pulse, looked at me, and said, 'Not yet!'" "This all goes back to Nancy Drew and the Hardy Boys," Barbara said. 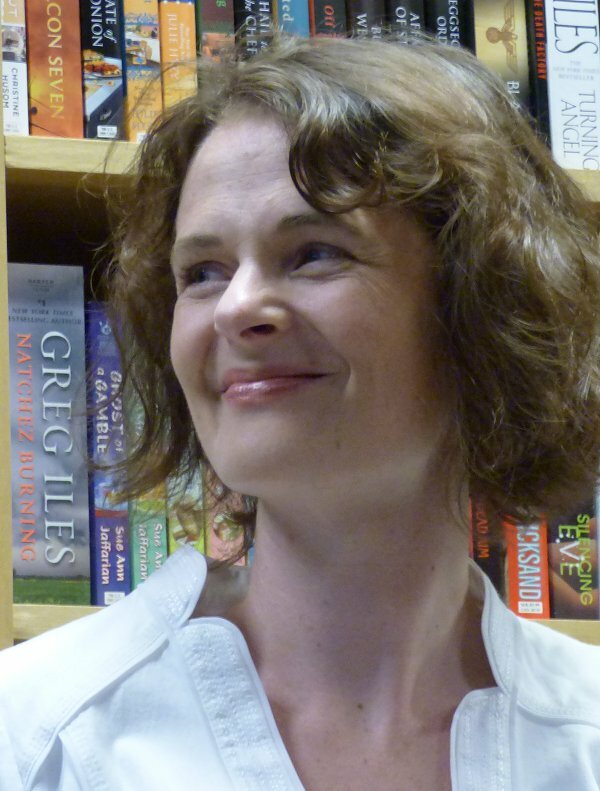 "There was no Carolyn Keene or Franklin Dixon, just writers working under those names." Soon after, the event was over and the signing lines were forming. It was a wonderful evening, and I wish more people had been there to enjoy it. So much information was shared, so many stories, and so many wonderful memories of writers who are no longer with us. I urge you to watch the entire event on The Poisoned Pen's Livestream feed so you can hear and see everything for yourselves. Just sitting here thinking and writing about it makes me smile. 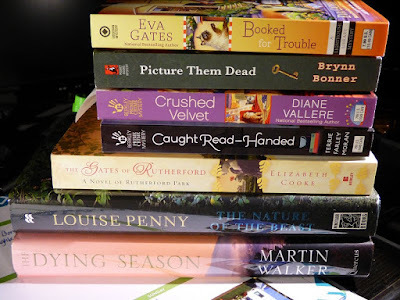 Mighty fine stack of books, isn't it? 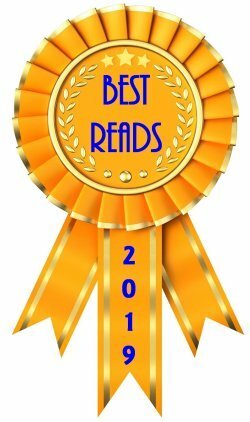 (Just left click on the photo if you're having trouble reading any of the titles/authors.) Want to know how I goofed? I'd snatched up a signed copy of Louise Penny's latest, and then I spied a new title from Martin Walker. 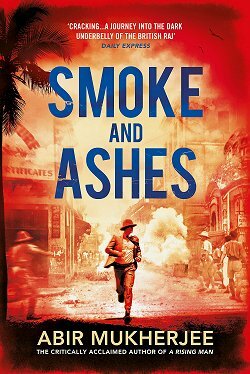 I was so excited that I forgot one important fact: Walker's UK and US publishers now seem determined to give the same book different titles. When I got home and inspected Dying Season more closely, I discovered that I'd already read the book. It's The Patriarch over here. Sheesh! Fortunately it's not a problem to exchange books at The Poisoned Pen. I've already exchanged my faux pas for three books that I know I haven't read. You'll see them in my next recap from my favorite bookstore! At least I bought it at a place where exchanging it is painless. Oh-- and the only author I seem to do this with is Martin Walker! Loved this. 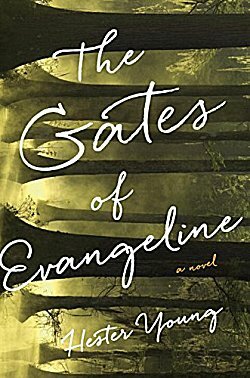 I really want to read The Gates of Evangeline. It sounds so good and I'm interested that the second in the trilogy will be set in Tucson. OK, I'll share the fact that I've never actually read a Jesse Stone book, but I have watched all the TV adaptations and enjoyed them very much. And I am patiently (or rather impatiently) waiting on my signed copy of Louise Penny's new book. It's taking longer I know because she didn't do an event at the PP this time. However, I had to order my book from there. All my Penny books have come from the PP except for one. For that one (and I can't even remember which it was - the monastery one I think) she came to Austin and I went to see her and get it signed in person.